Editor's note: This story was updated on May 9 to reflect that the House gave the measure final approval. Though the House and Senate continue to fight over many issues at the tail end of this legislative session, they can agree on at least one thing: Teachers having romantic or sexual relationships with their students should be held criminally responsible — and so should their superiors who try to hide it. The bill's House sponsor, Rep. Ken King, R-Hemphill, said SB 7 would protect students, given the increase in inappropriate teacher-student relationships across the state. In 2016, the state opened 222 investigations into educators having romantic and sexual relationships with their students. Under the bill, a superintendent or principal who purposely hides knowledge about a teacher's history of misconduct could be charged with a state jail felony. Those who don't file a required report with the State Board for Educator Certification about a teacher's criminal record or incident of inappropriate behavior within a specified period of time could be fined between $500 and $10,000. The bill faults teachers having romantic or sexual relationships with students whether or not they are in the same school district. As passed out of the Senate, the bill would have taken away pensions from teachers convicted of sexual abuse or improper relationships with students. King struck that section of the bill in the amended House version of SB 7, but Rep. Matt Rinaldi, R-Irving, successfully got King to add that section back in. "It would close this loophole and punish those that use the public school system to commit their crimes," Rinaldi said. Rep. Chris Turner, R-Grand Prairie, pushed back, concerned that innocent families would then lose needed funds. "Do you address at all how the person's family presumably was not involved in wrongdoing and would have a relative sentenced to prison?" he said. The final bill would allow a convicted teacher's family member to collect a full pension in his or her own name, if a judge allows. The bill also requires teacher preparation programs to educate teachers on proper relationships and boundaries with students. Mark Wiggins, lobbyist for the Association of Texas Professional Educators, said teacher groups have already been working to curb this misconduct — in part by training teachers on how to use social media in appropriate ways. "If you're using social media, which can be beneficial to share homework assignments and give updates on what your class is doing, make sure it's a separate social media account from your personal social media account," he said. "Simple stuff like that makes a big deal." Senate Bill 7 would punish school principals and superintendents who fail to report teachers with a history of inappropriate romantic or sexual relationships with students. 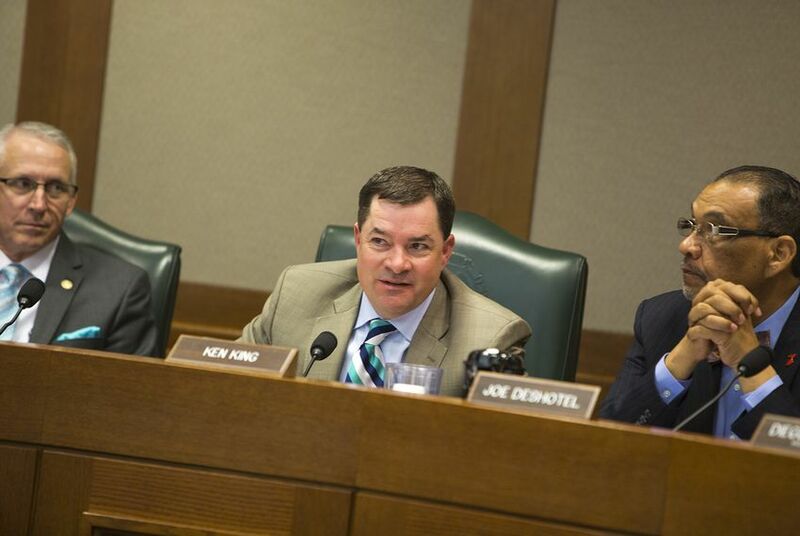 Faced with growing state attention on improper student-teacher relationships, the Texas Education Agency is asking lawmakers for hundreds of thousands of additional dollars to help investigate them — plus new legislation.